The choice of bedding for a stabled horse used to be just a matter of choosing beween straw and wood shavings. Today there is a much wider choice, with the options to bed your horse on rubber matting or flooring, shredded paper and cardboard, Flax, hemp and rapeseed based equine bedding as well as many types of woodshavings specially manufactured for horse bedding. Many dust-extracted bedding materials are available which have also been treated with non-toxic disinfectants for added equine hygiene. The choice of bedding should be based on your horse's and your own needs, taking the following points and advice into consideration. Affordability - how much do you want to spend? Some products may appear expensive initially but in the long term you may save money. Calculate how much it will initially cost to fill the stable, then consider how much bedding you will need add daily to maintain the bed. Consider any health problems that your horse may suffer from, especially respiratory problems, there are dust free products especially shavings and hemp that have developed specially for horses that can suffer from the dust present in straw beds. Your vet may be able to give you the most up to date advice on bedding materials suitable for horses with health problems. If your horse eats his bed it may be worth looking for a bedding material that has been treated with a non-toxic subtance to give it a bitter taste and make it unpalatable. Consider how you will dispose of the soiled bedding. Select a type that you know you can dispose of easily. You make need to take advice from your local authority. How draughty or cold is your stable? A deep straw bed with high banks will provide extra warmth and block out draughts. Some brands of equine rubber matting offer thermal insulation. If your horses require extra protection from injury whilst stabled, mares in foal or with foals at foot for example, rubber matting and rubber wall mats can give added protection. Horse feed suppliers often sell many different types and brands of horse bedding which may be bought in small or large quantities - Buying in bulk for large yards can significantly reduce costs. Straw is the traditional bedding for horses, with wheat straw being the most suitable. 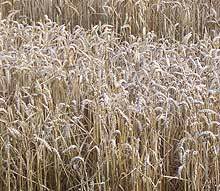 Oat and barley straw should not be used for equine bedding. Straw is relatively cheap, fairly easy to dispose of and looks warm, cosy and comfortable. Its drawbacks are that it is notoriously dusty and some horses will eat straw beds and this can result in respiratory problems and weight gain. Dusty straw in the stable can also cause respiratory diseases such as SPAOD. A deep-litter can be a very economical, money saving system, but can be very heavy, smelly and unpleasant to muck out. Straw can often be bought locally from a farmer, who will usually deliver direct to the stableyard. It is supplied in separate mats that can be cut to size (some rubber mats interlock) or in a liquid that once it has set is forms a seamless sealed floor that does need to be lifted out for cleaning. Rubber matting is usually used under another bedding material such as straw or shavings, the small amount of bedding material on top of the rubber mats helps to soak up urine and control the spread of droppings. Some horse owners choose to use rubber matting without any bedding on top. However, this can lead to wet smally floors, dirty horses and wet stained, rugs. 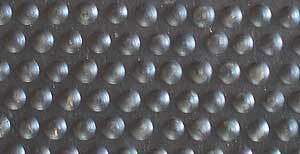 High hygiene standards need to be maintained when using rubber mats which need need to be cleaned, especially underneath, to prevent the build up of ammonia. Effective stable drainage is essential for this system. Although the initial costs of the matting are realtively high, this is offset by the fact that the amount of bedding used daily can be greatly reduced, this saves time mucking out and reduces muckheap size. Shredded Paper is a dust free alternative bedding material, usually made from recycled newspapers and supplied polythene wrapped for easy storage. The paper is cut into short flakes or long strips. The long strips of paper tend to be harder to muck out as they clump together and it is harder to separate out the droppings in the stable. When wet a paper bed can become very soggy. A large number of bales may be needed to create a thick bed. Being made from newsprint the ink on the paper can stain a horse or pony's coat. Shredded paper is easy to dispose of as it breaks down more quickly than other bedding. It can be hard to keep tidy as it easily blows around a stableyard. Wood shavings are more absorbent than straw and dust-extracted products are manufactured especially for use as horse bedding - which is useful if your horse suffers form any respiratory diseases. However these specially produced shavings can be expensive. Generally horses and ponies do not eat woodshavings, which can save you money whilst helping to control the horses diet. Shavings have become popular type of horse bedding as they are easy to muck out and very absorbent . They can be successfully used for a deep litter bed . It takes about 4-5 bales of shavings to start a bed, followed by 1 or 2 bales a week to maintain a good bed. 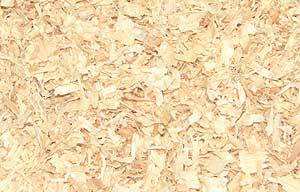 If you do get shavings not specially manufactured for horses, such as waste shavings produced as a from a wood yard or saw mill, you may find that the woodshavings are sharp, contain rubbish and may be dusty. Disposal of shavings waste can be a problem - they take a long time to rot and are often unwelcome on stable yard muckheaps. The easiest method of disposal is by burning - but many areas have restrictions on this - check with your local authority. Hemp, Flax and Rapeseed are relatively new types of bedding. These bedding materials - such as Aubiose - are manufactured from the chopped stems of the plants. Horse owners who have used this new type of bedding have reported that these beds are cleaner and easier to muck out than shavings. Hemp, Flax and Rapeseed bedding has good absorbency, and provides a soft bed with a low dust content. Some horses do try to eat this bedding and this can cause swelling in the stomach as the bedding is somewhat indigestible. This is another bedding material which can be initially expensive than straw or shavings, but in the long term can work out to be fairly cost effective as less has to be replaced each day. An advantage is that Hemp, Flax and Rapeseed rots down quickly which makes disposal easier. Shredded cardboard is a newer bedding material which is becoming a popular choice amongst horse owners and equestrian facilities. Cardboard has good insulation qualities, is absorbent, dust free, horses stay cleaner than on other types of bedding and it is easy to store and to muck out. Like paper, cardboard can clump together in the stable, which although makes removing wet patches easier and make droppings harder to remove. Peat Moss used to be a popular choice of bedding, but is seldom used today. It is expensive and difficult to obtain. Most importantly it is comes from an unrenewable natural source and much natural habitat has been destroyed in its collection for commercial use.